A stretch of the Dublin Road in Monasterevin. A MAN IN his 40s has died after he was knocked down and killed in Kildare. 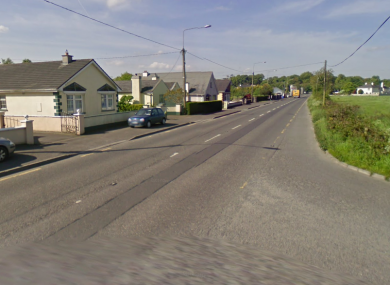 At around 6,50pm, the man was struck by a 4×4 on the Dublin Road in Monasterevin. He was treated at the scene by emergency services personnel but was pronounced dead a short time later. A garda spokesman said: “The deceased has been removed to the mortuary at Naas Hospital where a post-mortem will be carried out, the local Coroner has been notified. Email “Man dies after being knocked down by 4x4 in Kildare”. Feedback on “Man dies after being knocked down by 4x4 in Kildare”.